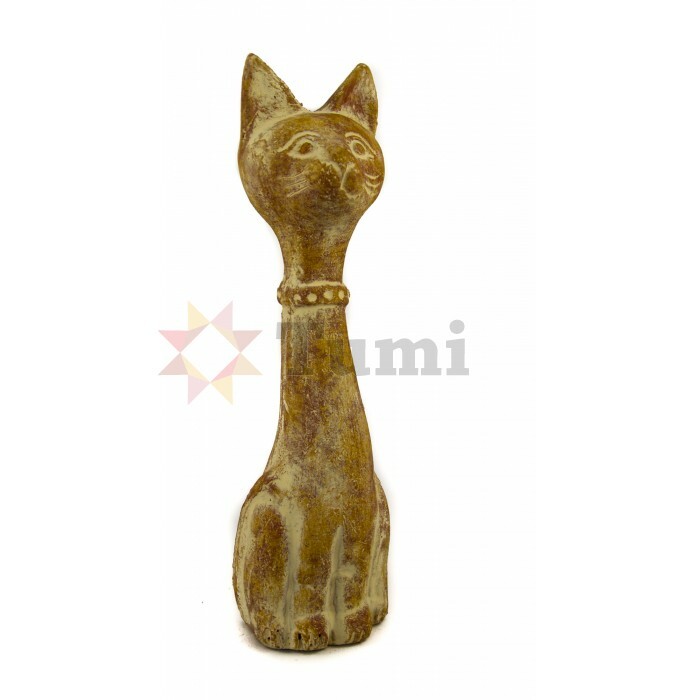 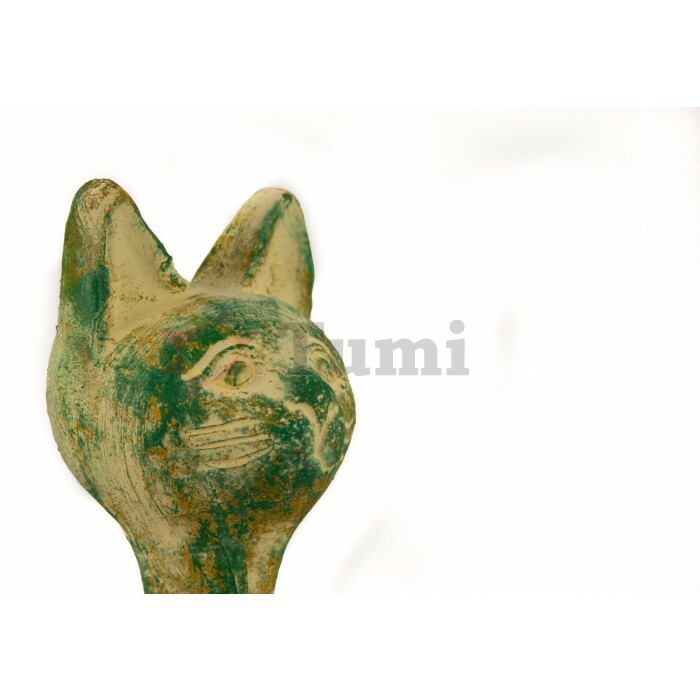 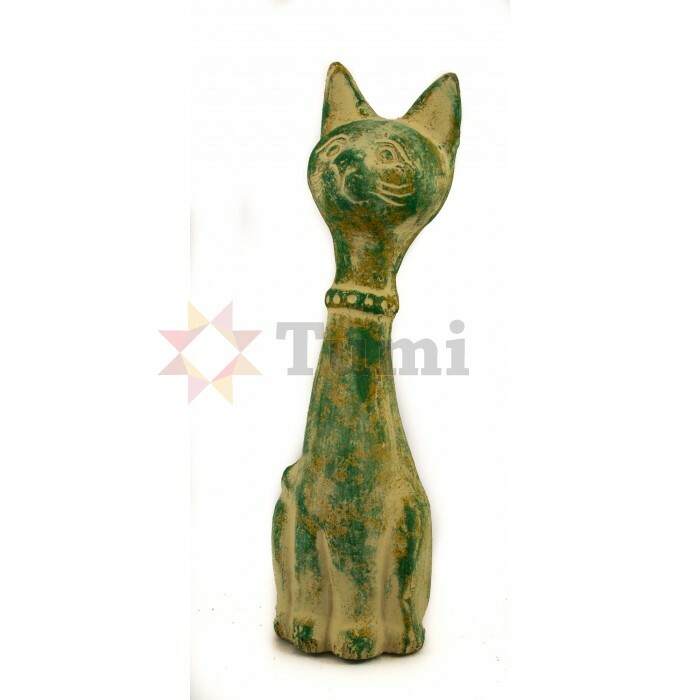 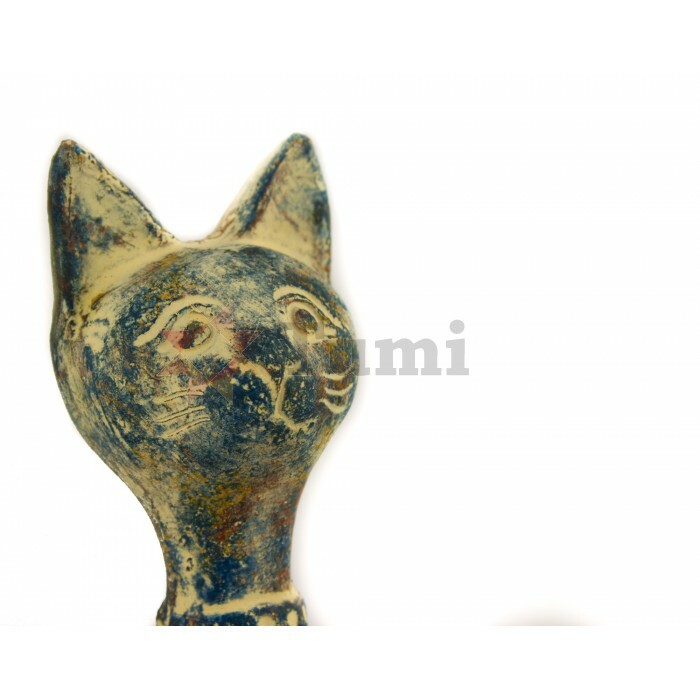 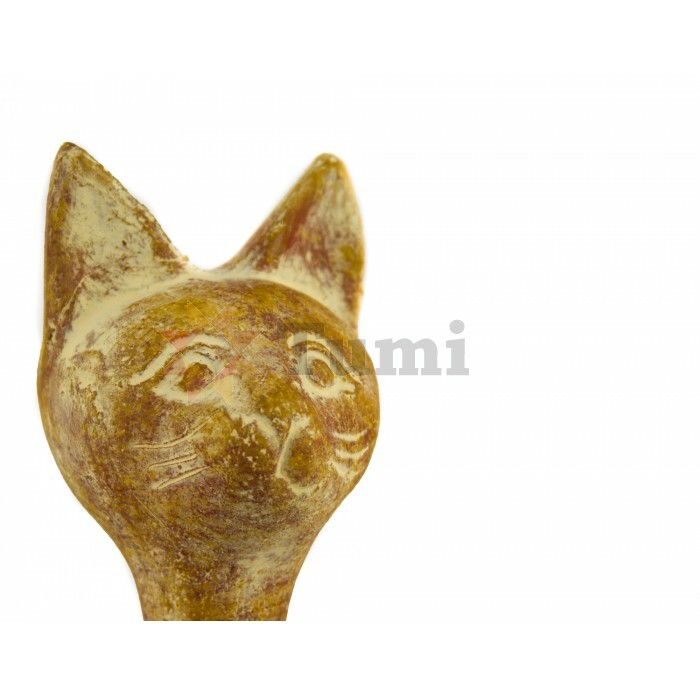 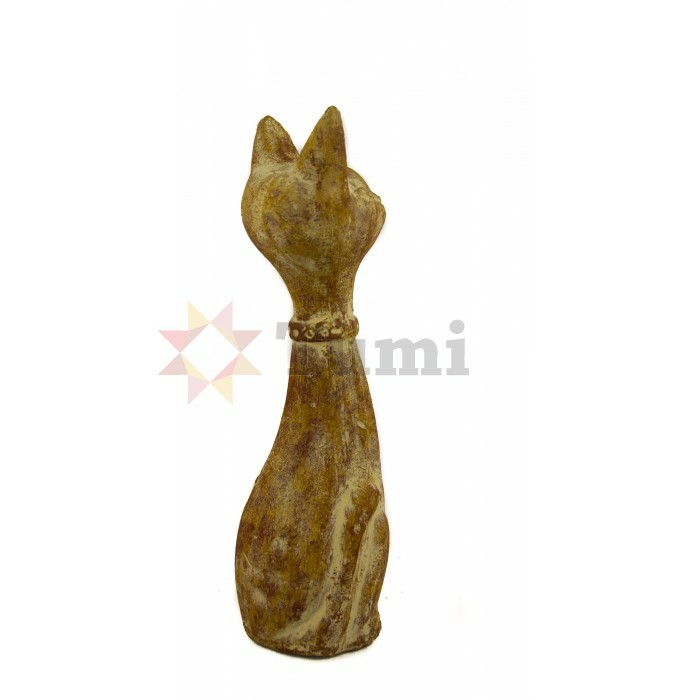 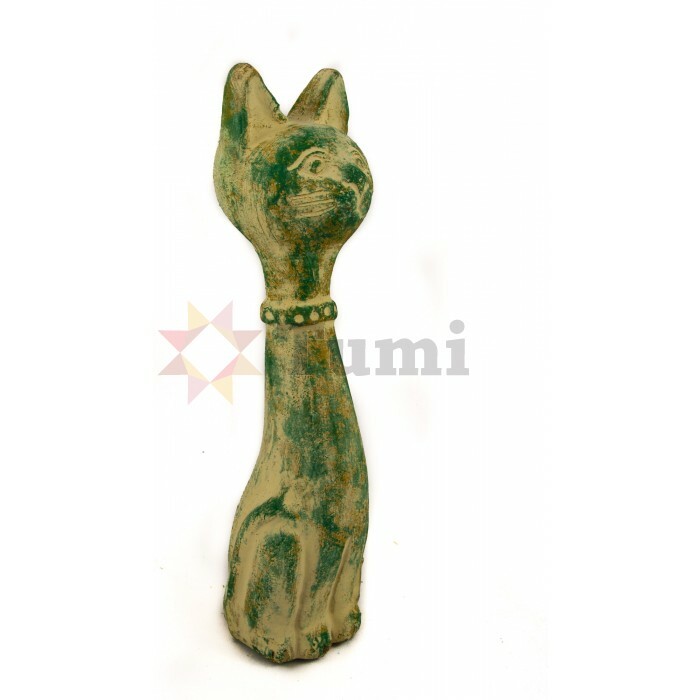 Decorative earthenware cat with collar. 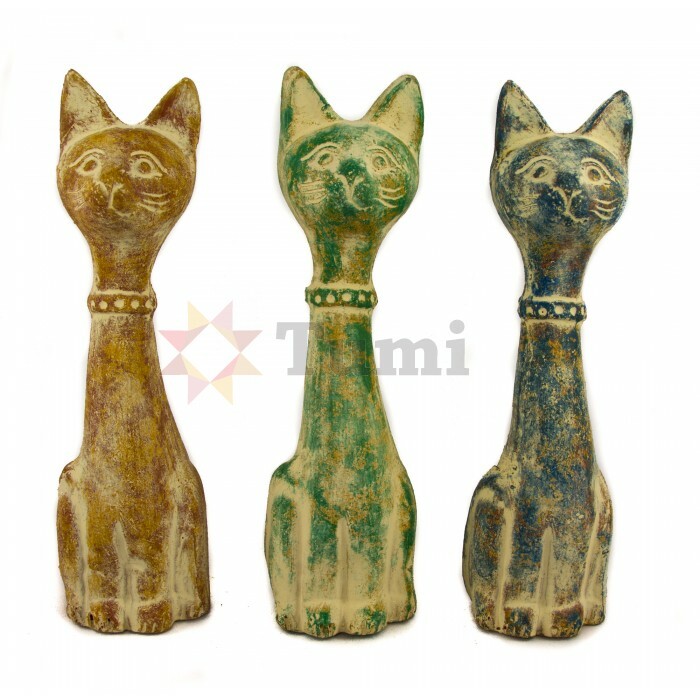 It is frost proof so can be put outside although the colour may run. 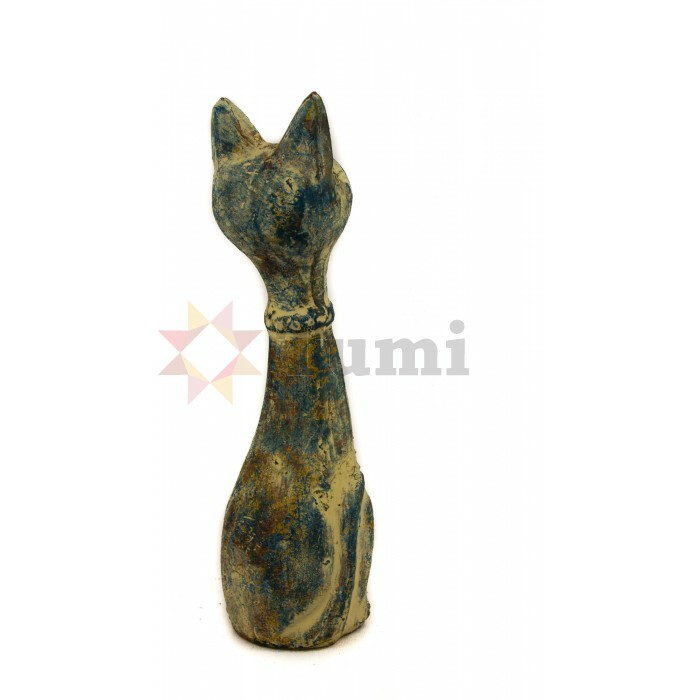 Colours vary. 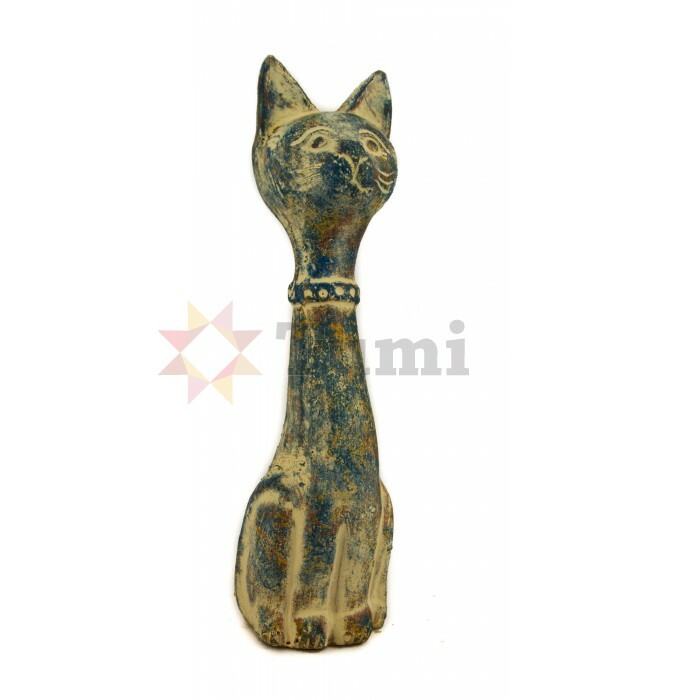 Hand made in Mexico.